…a virtuoso of stylistic pluralism. …the playing of the perfect soloist Yossi Arnheim. 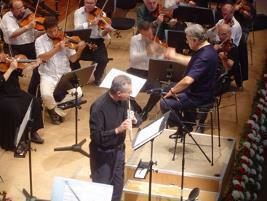 ...Yossi Arnheim, principal of the Israel Philharmonic, is a great flautist. Extensions of phrases were clear and logical, and phrase sculpting was sensitive to the melodic content. ...excelled in richness of expression and brilliant virtuosity. ...brought magical moments with his clear, warm sound, and demonstrated his perfect technique in the pearl-like cadenzas. His broad musical horizons include Middle Eastern and Arabic music. 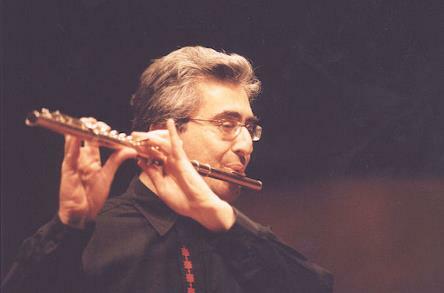 In 1997, he founded Shesh Besh, an ensemble comprised of Arab and Jewish musicians, which performs music from the Middle East in a classical format. In addition, he enjoys performing World Music and his repertoire includes Chinese, Japanese, Indian, Georgian, Middle Eastern and Israeli music. He is a member of the East Wind Duo, with Julia Rovinksy, Principal Harpist of the Israel Philharmonic. Arnheim has recorded for the "Harmonia Mundi", "Meridian", "Kontrapunkt", “DUX”, “Brana” and “Enja” labels. His recordings feature a variety of styles, and his Telemann Sonatas CD has won the 1993 British Music Retailers Association Prize. In addition he has made many recordings for the Israel Broadcasting Authority.